Thurman Munson got called up to the Yankees in August 1969, and his first game was on August 8, a Friday night, the second game of a twilight doubleheader against the Oakland A’s. Thurman was the catcher, giving Frank Fernandez a rest after the first game. 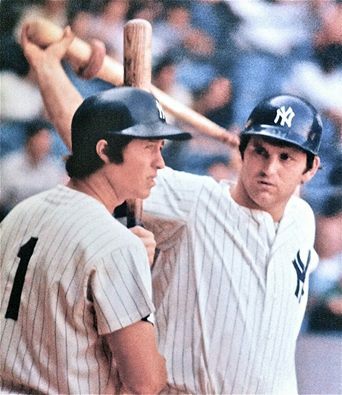 Thurman batted eighth, and in his first major league at-bat came in the second inning; Catfish Hunter walked him. He grounded out Bert Campanaris in the fifth. By the seventh inning, the game remained scoreless in a pitching duel between Catfish and Al Downing. 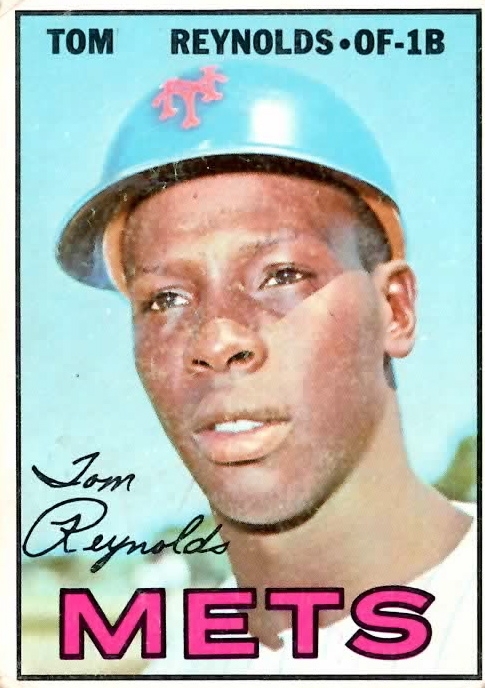 Gene Michael led off with an infield single, and Thurman hit a clean single to Tommy Reynolds in left – his first major league hit! Stick made it to third and Thurman advanced to second on Reynolds’ throw to Sal Bando. Stick and Thurman scored on a Horace Clarke single, and Hoss made it to third on Jerry Kenney’s hit. That’s when Hank Bauer, the A’s manager, pulled Catfish. Thurman’s second career hit came off Marcel Lachemann in the eighth. Bobby Murcer led off with a single. Jimmie Hall walked, and Stick made it to first on Lachemann’s error. So Thurman comes to the plate for his fourth big league plate appearance with the bases loaded and no outs. He hit a single to Reggie Jackson in right, and advances to second on Reggie’s throwing error. Thurman went 2-for-3 in his major league debut, with two RBI’s. And this Yankee fans will appreciate: on Thurman’s first RBI, Bobby Murcer scored!